Wednesday, January 28 4 – 6 p.m. Wasserstein Hall, 5053 Please join us for an opportunity to learn about the Chayes International Public Service Fellowship and to hear about the experiences of past Chayes Fellows. Bring your questions! This reception is open to 1Ls and others eligible for the Chayes Fellowship. Warm beverages and snacks will be served. The deadline to apply to study at Cambridge in the 2015-2016 academic year is Friday, January 9, 2015. The Harvard Law School and the University of Cambridge J.D./LL.M. Joint Degree Program provides an efficient avenue to earn two degrees by enabling Harvard J.D. candidates to earn a Cambridge LL.M. and a Harvard J.D. in a total of 3 1/2 years. Up to six Harvard 2Ls are selected annually to spend their 3L year reading for the LL.M. degree in Cambridge, England. The Harvard Law School and the University of Cambridge J.D./LL.M. Joint Degree Program provides an efficient avenue to earn two degrees by enabling Harvard J.D. candidates to earn a Cambridge LL.M. and a Harvard J.D. in a total of 3 1/2 years. Up to six Harvard 2Ls are selected annually to spend their 3L year reading for the LL.M. degree in Cambridge, England. The 2015 Parody, produced by the Drama Society, is looking for musicians to form the Parody Band! If you play a musical instrument, and you are able to rehearse during the month of February and perform the evenings of February 27-March 3, contact us at hlsparody2015@gmail.com. MBTA Spring 2015 Pass Program – Back on Sale!!! In conjunction with the MBTA, Harvard Law School offers students the opportunity to sign-up for the MBTA Semester Pass Program at a discount of 25%. The program runs from February 1 – May 31, 2015. This program is only available to HLS students. To sign up for the Spring 2015 pass, complete this form and turn it in along with payment (check or credit card) to the Dean of Students Office (located in Suite 3039 in WCC) by December 19, 2014. Paper copies of the form are available in the Dean of Students Office. Checks may be made out to Harvard University. If you find yourself using the train or bus at least 6 times a week then this program is for you. To learn more about Greater Boston’s Public Transportation System or purchase passes for a single month, visit the MBTA website. Contact the Dean of Students Office (617-495-1880) with any questions. The Dean of Students has opened a space in the basement of Ames for meditation and prayer. The room can be used with card access provided by the Dean of Students Office. To gain card access to the room, please complete the Registration Form. For more information, please visit the Wellness Page. Massachusetts Lawyers Weekly offers a special discounted rate for students: 70% off the $379 print or $299 digital price. Email customerservice@thedolancompany.com to request the student rate. Required for students traveling with HLS funding or for HLS credit. Open to other students traveling abroad. HLS requires ALL students who are receiving funding for winter term international travel to attend one of these information sessions. They will provide information about health, safety, and other travel considerations, as well as facilitate interaction among students who are going to, and have traveled to, particular regions. Drinks and dessert will be provided; feel free to bring your lunch. To RSVP, or for more information to determine which session will focus on particular regions, email Alicia Clemente. Please indicate which session you will attend. If you are considering applying for a joint degree program with HBS, HKS, HSPH, or GSD, you are invited to join Jessica Soban, Assistant Dean and Chief Admissions Officer, for “Office Hours.” Jessica can help you think through the academic and professional benefits of a joint degree, as well as your strategy for presenting the most compelling application. Please call the J.D. Admissions Office at 617-495-3179 to set up a specific appointment time. Joint degree applicant office hours: Friday November 21, 9:30 am – 11:30 am Tuesday December 2, 11:00 am – 1:00 pm. 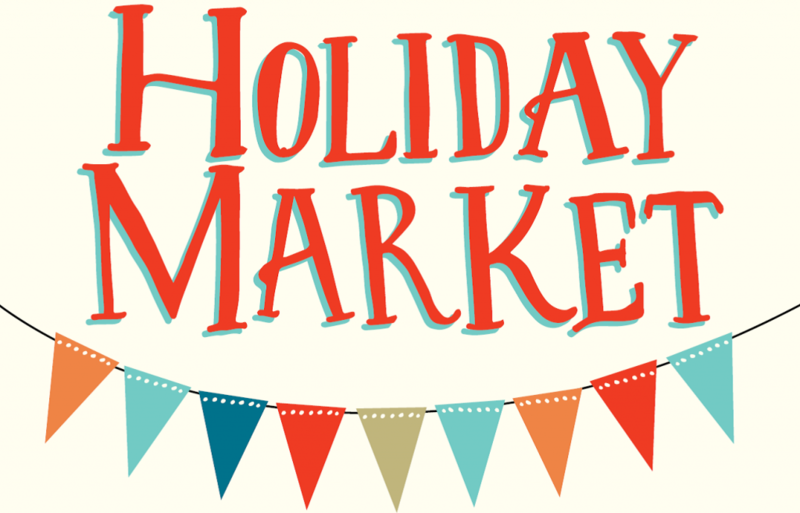 Participate in our upcoming Holiday Craft Fair! Happening on December 9th, 11am-2pm, all the faculty, staff or friends of are welcome! Photographers, Knitters, Painters, Carvers, Bakers, Screen Printers, Jewelry Makers, Designers, Potters, Basket Weavers and EVERYTHING IN BETWEEN!!! The HLS Mindfulness Society has recently been restarted and is back in action! Or rather, inaction. Come meditate with us! All are welcome, especially beginners. Why meditate? Meditation strengthens willpower, focus, memory, and resilience to stress. Justice Breyer spoke about how meditation helps him write the best opinions in the greatest number of cases: “[T]he practice of law is like attempting to drink water from a fire hose. And if you are under stress, meditation – or whatever you choose to call it – helps. [Meditation] makes me feel more peaceful, focused and better able to do my work.” Be pragmatic. Sit with us. Note: students of all religious and jurisprudential backgrounds are welcome. Email hlsmindfulness@gmail.com for information about our daily meditation sits or to join our listserv. Grant applications should be submitted to International Legal Studies in Wasserstein 5005. Several 30-minute spots remain for this Wednesday’s 1L Mock Interview Program (11/5 in Milstein West). Don’t miss this invaluable opportunity to practice and sharpen your interviewing skills with HLS alumni and other practicing attorneys in a short, low-pressure practice session. The first twenty minutes will be spent participating in the mock interview; during the last ten minutes the interviewer will provide feedback and pointers to enhance your interview skills. To register, log into the CSM system here: http://bit.do/MIP. Go to the “OCI” tab, then select “2014 Mock Interview Program” from the drop-down menu to book a time. Thursday, November 6, 8–10pm, Harvard Student Opening. Harvard undergraduate and graduate students are invited to be the first inside the new museums. Free tickets are available in person, on a first-come, first served basis, beginning October 30 at the Harvard Box Office, located in the Smith Campus Center at 1350 Massachusetts Ave. HUID required. The Harvard Art Museums—home to one of the nations’ largest and most important collections of art—will open to the public after a six-year renovation and expansion project. Now united under one roof for the first time, the Fogg Museum, the Busch-Reisinger Museum, and the Arthur M. Sackler Museum will serve as a powerful 21st-century laboratory for the arts. The museums are hosting a suite of special events that will give the Harvard community, as well as our Cambridge neighbors, opportunities to preview the museums’ expanded galleries, the stunning architecture, and the innovative new platforms for teaching and learning. Lead your section to green glory as a 1L Green Cup Captain! When: November – March Why: You will win not only the magnificent 1L Green Cup trophy (an upcycled sports trophy turned lamp, currently held by last year’s winning section leader, Section 7’s Professor Rakoff) but also $500 towards a zero-waste event to celebrate a job well done, with minimal impact on the planet Will Section 7 hold onto its title? Or will a new champion emerge? Captains from Sections 1 & 5 and the LL.M.s (participating for the first time this year) are already on board. What are your plans for winter term? Come to the Winter Term Opportunities Information Session on Wednesday, October 8 at 12 pm in Austin 111 to learn more about the application process for writing and clinical projects and international travel grants. For upper-level JDs and LLMs; feel free to bring your lunch. Boston is known as the City Of Champions! Come see one of the country’s oldest sports teams compete against the Philadelphia Flyers on Wednesday, October 08, 2014 at the historic TD Garden. Game starts at 7:30pm. Tickets can be purchased at the DOS office in the Wasserstein Building on the third floor (WCC-3039). Tickets are for students ONLY, please have your Harvard ID with you. Only 2 tickets per person.Tickets are limited! Tickets are $75 and are located in the balcony! You cannot miss this opportunity! Stop by and pick up a Bruins ticket AND some candy. Help the J.D. Admissions Office bring in the next great class of students to HLS! After you’ve filled out the survey, we will take care of the rest! By completing this survey you will be asked to assist the J.D. Admissions Office with minor recruitment efforts such as emails or on-campus events. These efforts are not a big time commitment at all (maybe just five hours over the course of the whole year), and students usually enjoy the opportunity to speak with future classmates! We will be in touch later in the fall about these efforts.